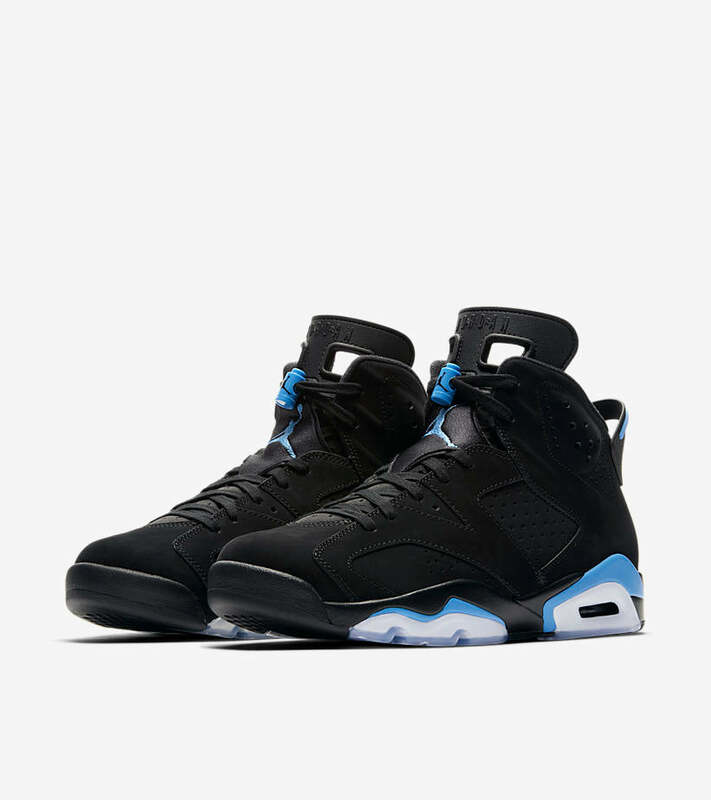 The Air Jordan VI first took the court back in 1991, the year MJ secured his first championship. 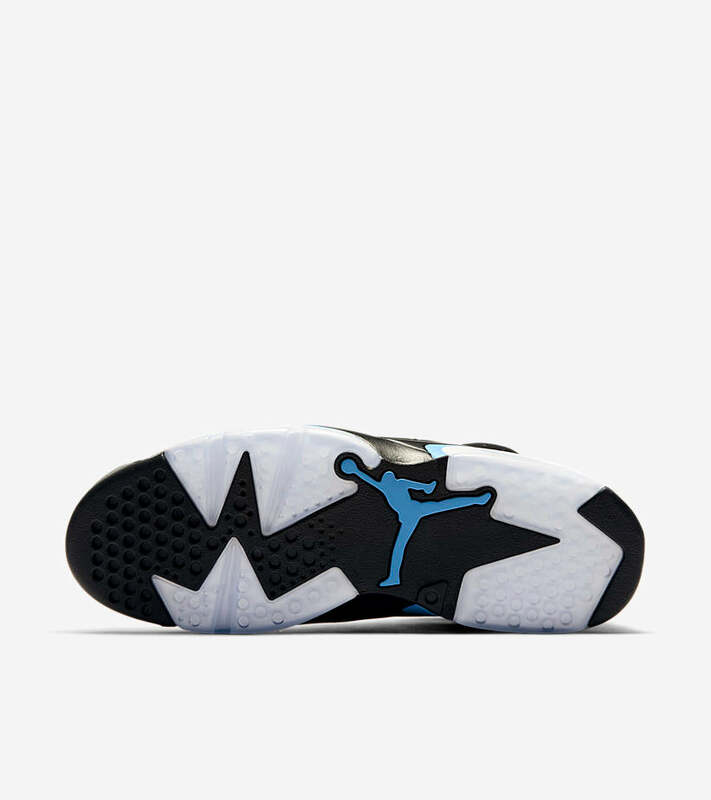 Inspired by sports cars, its streamlined tongue, heel spoiler and lace toggle allowed the shoe to be pulled on and cinched down quick – at the speed of a pit stop. 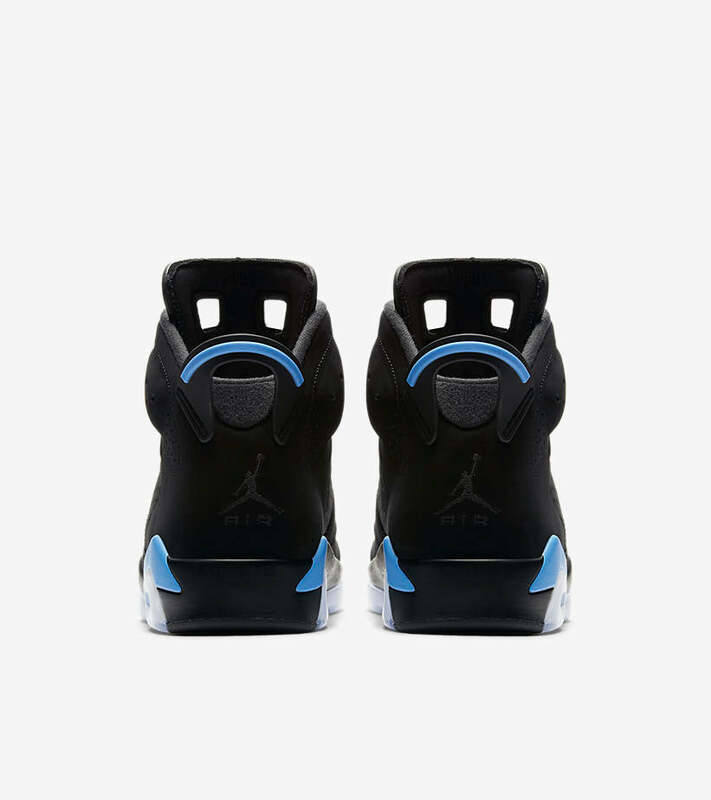 Now it returns in a black-dominated colourway that highlights its speedy look. 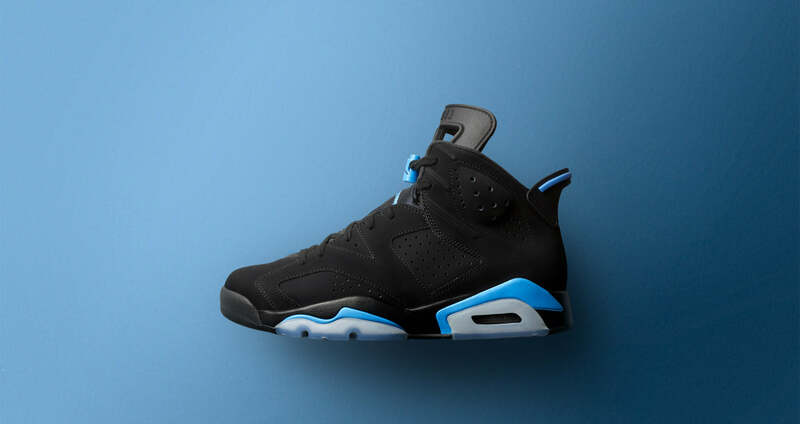 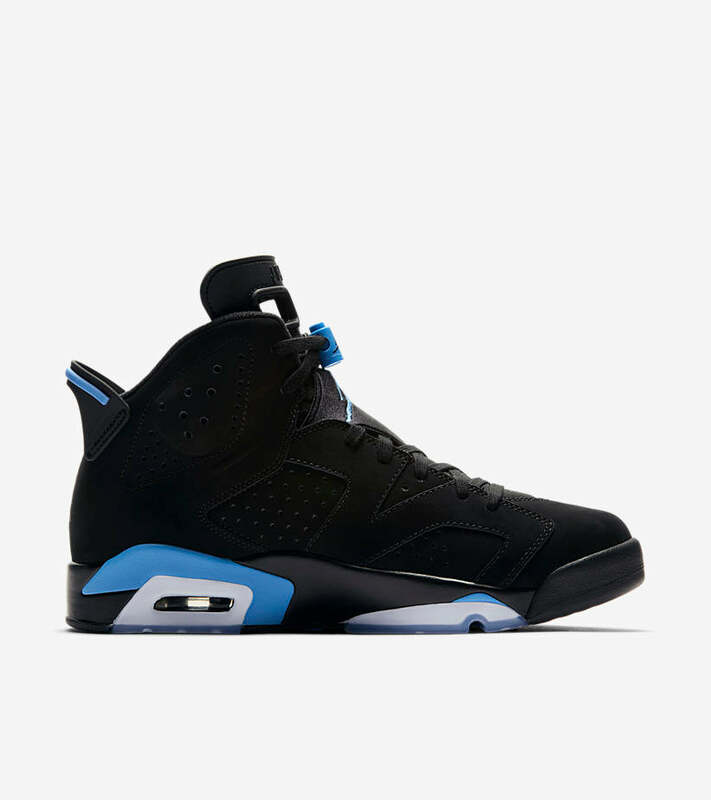 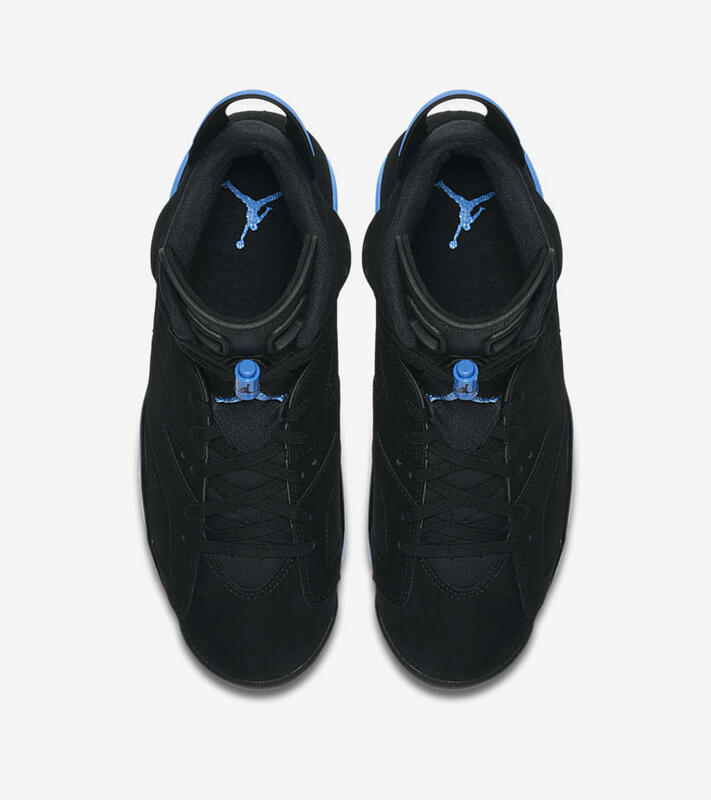 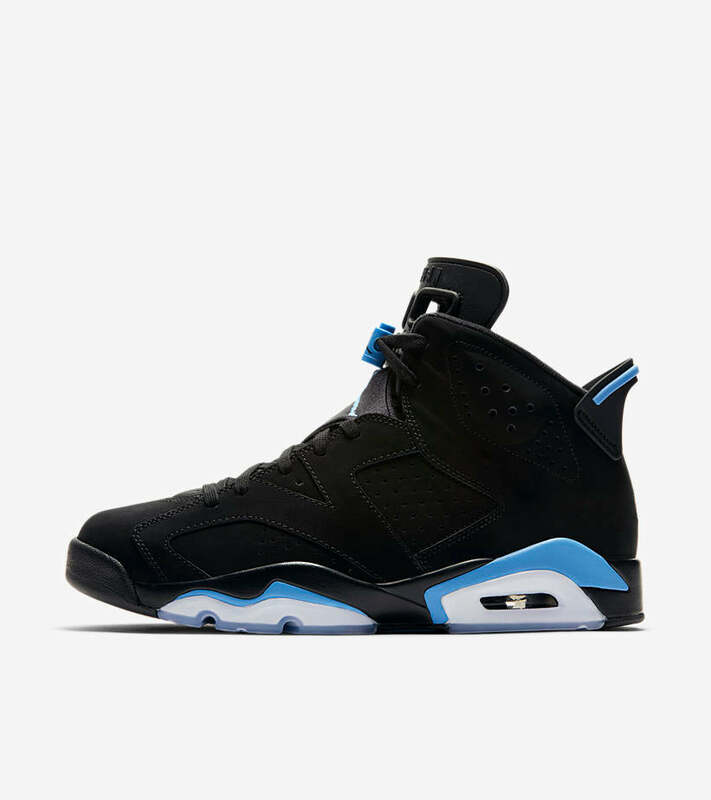 The Nike Air Jordan VI Retro “Black/University Blue” will be launching ONLINE on Saturday 2nd of December here.